Chamfered to allow for better initial installation. Pads are slotted to give better heat displacement and improve performance. OE style shims to reduce noise. High quality pad with low copper content formulation. Optimal performance on installation, no running in required. 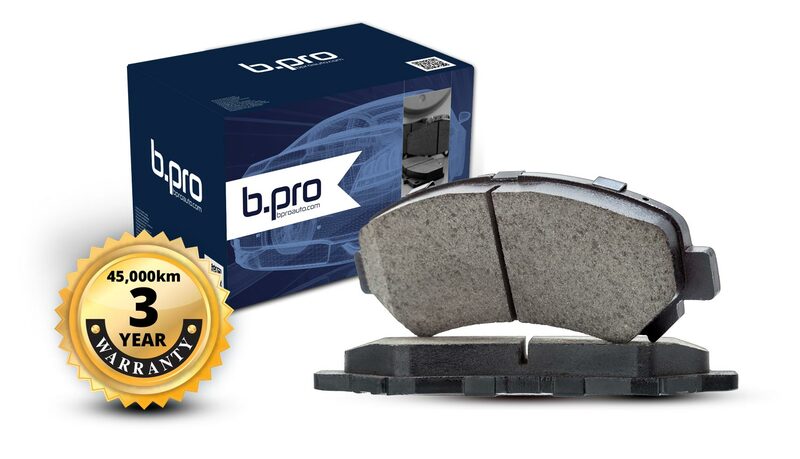 Brake Pads from b.pro… offering a unique, 3 year 45,000km warranty on all pads ! The b.pro brake pad range aims to deliver added value features and upgrades to both enhance the driver experience and to deliver the consumer and professional client, a quality component they can rely on.